Ikhlas lost her father and Miri lost her brother, both to the ongoing Israeli and Palestinian conflict. Yet, both seek peace. 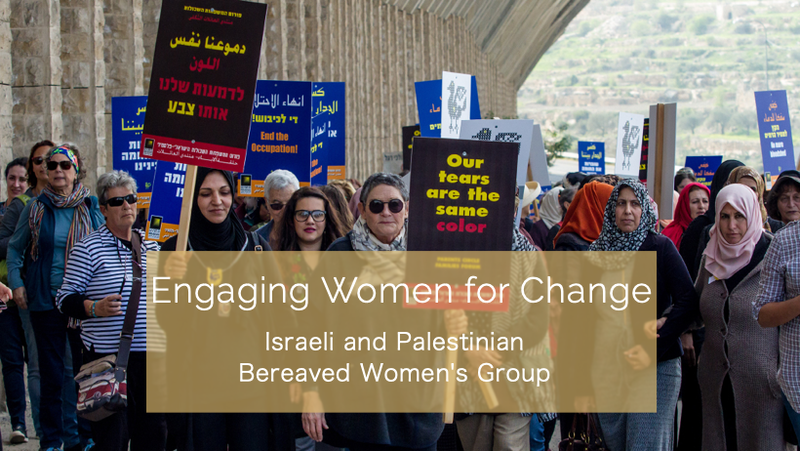 Join us as these incredible women share their stories of bereavement, hope, and their experiences as members of the Parents Circle’s Israeli and Palestinian Women’s Group, with a Q&A session afterwards. Bereaved women pay the highest price of the conflict, and are seldom consulted in the decision to go to war, to have a cease fire, or to sign any peace agreements. Their experience highlights the sanctity of human life across the divide, and they have an important role to play in peacebuilding. Programs like Engaging Women for Change are crucial right now, as the violence flares in Gaza and the surrounding towns in Israel and political decisions– like the American embassy move and the Trump administration’s cuts to Palestinian organization’s– have only served to increase the fear and hatred of “the other.” How is the Parents Circle’s Women’s Group facing these complicated issues and how do they still have hope? Ikhlas lives in the village of Salem, in the West Bank. She and her sister were both born blind. 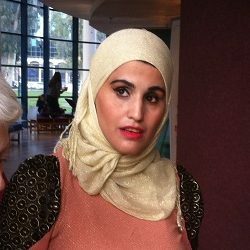 In 2004, her father, on his way home from work, was shot and killed by an Israeli settler. After some time, she chose to join the Parents Circle, and is an active member of the Women’s Group. 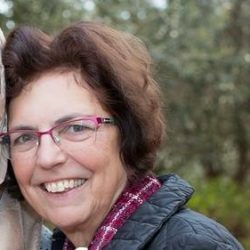 Miri lost her only brother, Amnon, when he was killed at the age of 26 in the Golan Heights in the 1973 war. Amnon believed Israelis should find ways for peace and coexistence with the Palestinians. In 2014, Miri joined the Parents Circle to work for hope and peace through a reconciliation process. She is an active member of the Women’s Group and a lecturer and facilitator on behalf of the organization.